American ProTech Surfaces is an industrial and residential surface coating and polishing company that partners with contractors, businesses, and residences to expertly coat, polish, waterproof, and seal surfaces for longevity and aesthetic appeal. American ProTech Surfaces provides top-of-the-line surface coating and polishing services. 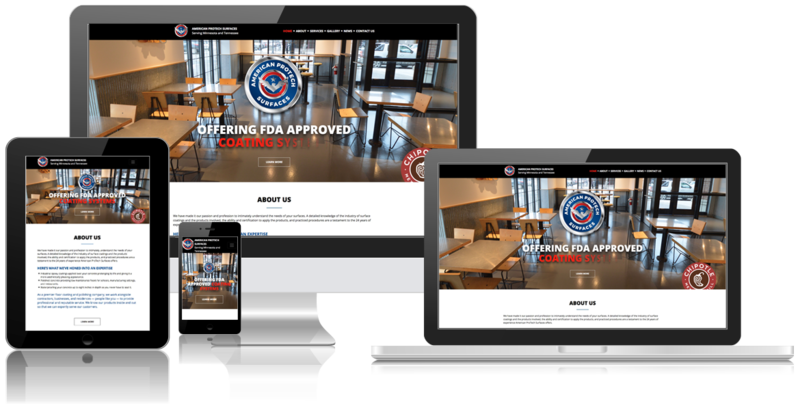 With over 20 years of industry experience, they were ready to make their mark and build themselves a digital storefront to connect and share their expertise with potential clients. Our purpose was to create a custom website to showcase their gallery of work and let contractors, businesses, and residences know what they’re capable of. The finished product is a perfect representation of what this company has to offer the community to improve the life and look of their surfaces. American ProTech Surfaces is a premier surface coating and polishing company with a depth of industry knowledge rarely encountered. When they went looking to build themselves a name and digital space, they came to Blindspot-Advisors. 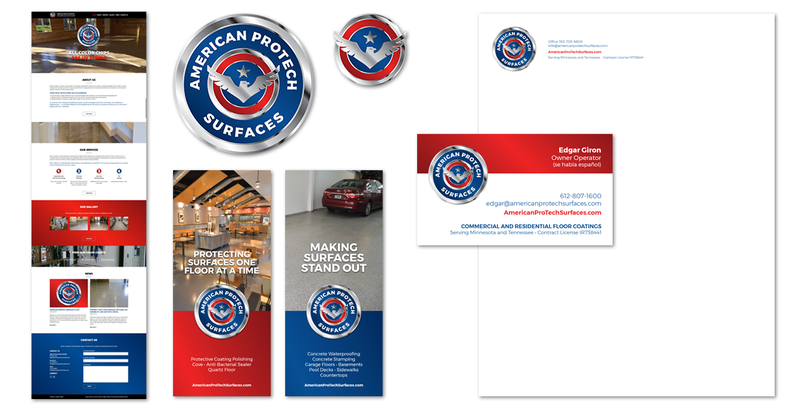 A new logo and creative identity for branding, custom website to display their work and connect with customers, point of sale materials, and SEO considerations together place American ProTech Surfaces in the front seat for success. Together, American ProTech Surfaces and Blindspot-Advisors are working to give your company the longevity and beauty it deserves.